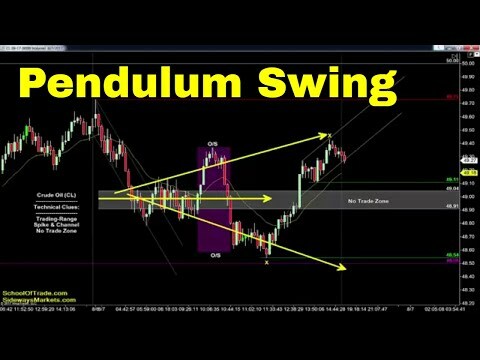 We have a handful of trading-ranges on the charts tonight, which means I’m going to use the ‘pendulum swing’ to find key support and resistance levels to use with my entry patterns tomorrow morning. Crude Oil is bullish with a strong spike higher, which tells me to look for two specific long set-ups at two different locations tomorrow morning. E-Mini S&P is bullish and pulling back to the low of the range, which tells me to use the '2-Try Rule' to find buying opportunities. Nasdaq is bearish and trying to complete the ‘pendulum swing’ target, and once completed I'm looking for a long set-up back into the range. Gold is bullish, but the high of the range isn’t a very reliable place to start buying, so I’m going to skip the buy and wait to sell into the bulls stops. Euro is bearish, but we’re a bit too low to sell here, so I’m waiting for the ‘pendulum swing’ to give me a short set-up off the range high tomorrow morning. 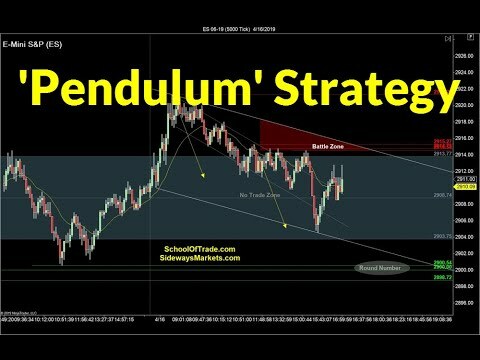 Please remember that economic news, both scheduled and un-scheduled will increase volatility and decrease liquidity in the market in the short-term, which causes price-action to react inconsistently with the levels of support and resistance mentioned in this video. 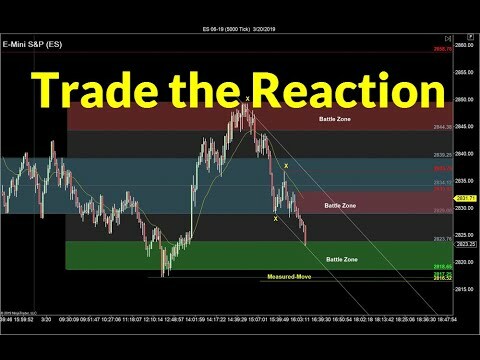 Trading during economic news reports is dangerous and highly discouraged, no matter what your level of experience. Joseph James, SchoolOfTrade.com and United Business Servicing, Inc. are not registered investment or trading advisers. The services and content provided by SchoolOfTrade.com and United Business Servicing, Inc. are for educational purposes only, and should not be considered investment advice in any way. U.S. Government Required Disclaimer - Commodity Futures Trading Commission. Futures and Options trading have large potential rewards, but also large potential risk. You must be aware of the risks and be willing to accept them in order to invest in the futures and options markets. Don't trade with money you can't afford to lose. This is neither a solicitation nor an offer to Buy/Sell futures or options. No representation is being made that any account will or is likely to achieve profits or losses similar to those discussed on this web site. The past performance of any trading system or methodology is not necessarily indicative of future results. CFTC RULE 4.41 – These results are based on simulated or hypothetical performance results that have certain inherent limitations. Unlike the results shown in an actual performance record, these results do not represent actual trading. Also, because these trades have not actually been executed, these results may have under-or-over-compensated for the impact, if any, of certain market factors, such as liquidity. Simulated or hypothetical trading programs in general are also subject to the fact that they are designed with the benefit of hindsight. No representation is being made that any account will or is likely to achieve profits or losses similar to these being shown. E-Mini S&P is bullish and pulling back to the low of the range, which tells me to use the ‘2-Try Rule’ to find buying opportunities. Nasdaq is bearish and trying to complete the ‘pendulum swing’ target, and once completed I’m looking for a long set-up back into the range. Joseph James, SchoolOfTrade.com and United Business Servicing, Inc. are not registered investment or trading advisers. The services and content provided by SchoolOfTrade.com and United Business Servicing, Inc. are for educational purposes only, and should not be considered investment advice in any way. U.S. Government Required Disclaimer – Commodity Futures Trading Commission. Futures and Options trading have large potential rewards, but also large potential risk. You must be aware of the risks and be willing to accept them in order to invest in the futures and options markets. Don’t trade with money you can’t afford to lose. This is neither a solicitation nor an offer to Buy/Sell futures or options. No representation is being made that any account will or is likely to achieve profits or losses similar to those discussed on this web site. The past performance of any trading system or methodology is not necessarily indicative of future results. CFTC RULE 4.41 – These results are based on simulated or hypothetical performance results that have certain inherent limitations. Unlike the results shown in an actual performance record, these results do not represent actual trading. Also, because these trades have not actually been executed, these results may have under-or-over-compensated for the impact, if any, of certain market factors, such as liquidity. Simulated or hypothetical trading programs in general are also subject to the fact that they are designed with the benefit of hindsight. No representation is being made that any account will or is likely to achieve profits or losses similar to these being shown. 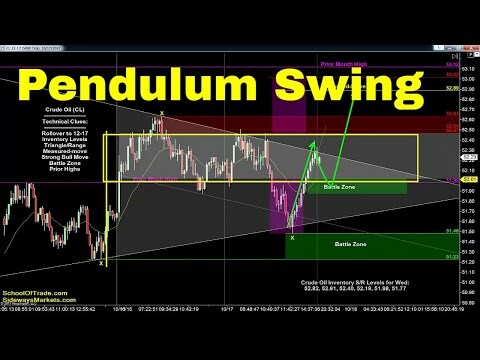 Why is the pendulum swing so important? 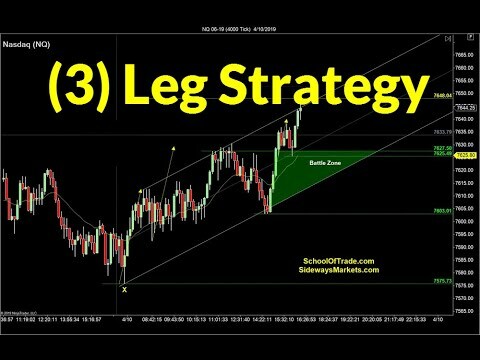 Because it gives me the perfect locations to look for buying and selling opportunities back and forth from top to bottom of a trading range.